To endow unto the world, erudite Dhammaduthas (Missionaries of the Dhamma) and scholars, disciplined through mastery of the Buddhadhamma, the Pali Language and allied subjects, accomplished in varied skills capable in promoting and fostering the philosophy of life, refulgent with the doctrine of the Buddha in Sri Lanka and abroad. 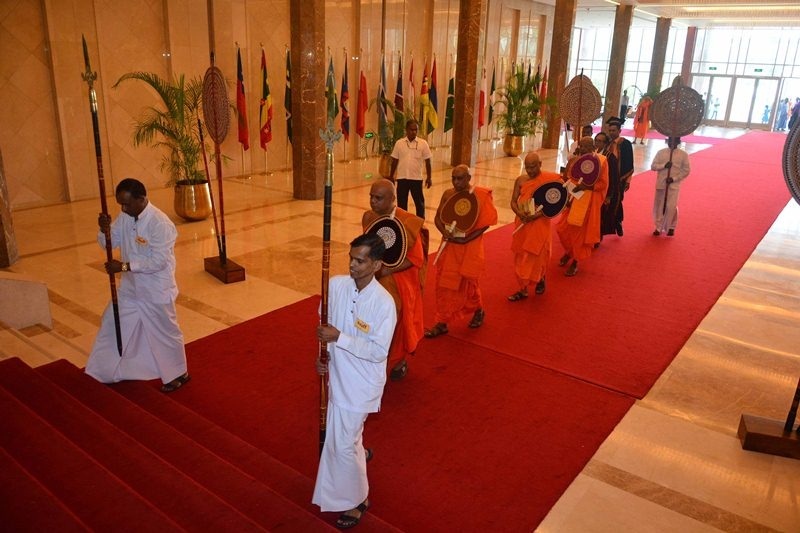 The training of scholars in the Buddhist Doctrine and Discipline for the purpose of the dissemination of Buddhism and nurturing of Buddhist missionary activities in Sri Lanka and abroad. The promotion of the study of the Pali Language, Buddhist Culture and Buddhist Philosophy in Sri Lanka and abroad, and the enhancement of those studies as befitting the modern world trends. The training of the student monks and the lay male students to teach Buddhism and Pali Language in the Pirivenas, Schools and in similar institutions. The provision of facilities to maintain and promote courtesy and civility and mental discipline among the student monks and the lay male students.